In 2013, Marvel announced plans to copy their own formula established with the Marvel Cinematic Universe, but apply it to a series of four Netflix shows and a cumulative miniseries. 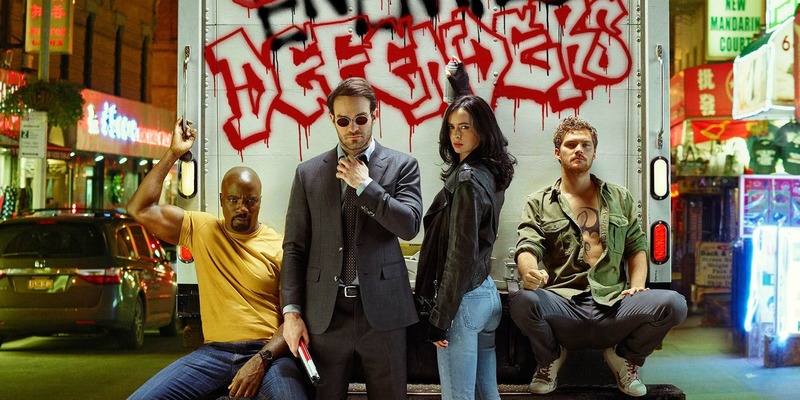 The quality of the four released shows varied: Daredevil was predictable but great; Jessica Jones was a huge breath of fresh air; Luke Cage was introspective and calculated; Iron Fist was… a show. These previous seasons led to Defenders. While the idea sounds great, the series isn’t executed as well as The Avengers. 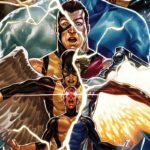 The Avengers succeeded because of incredibly strong writing and its ability to bring characters together quickly and organically via S.H.I.E.L.D.. This is where Defenders takes its first misstep. While it is a stand-alone story, it also tries to function as a continuation of the stories established in each character’s solo series. It tries to be Season 3 of Daredevil and Season 2 of Jessica Jones, Luke Cage and Iron Fist all at the same time. Because of this mishmash of characters, the first episode of Defenders is the very definition of a drag. To help it along, they bring back most of the key supporting cast from each respective series. Trish Walker, Foggy Nelson, Misty Knight, Colleen Wing and Claire Temple drive the episode. Then they hand things off to the main cast. Unfortunately, it isn’t until the tail end of the second episode that things really start to come together. The color grading, the process of altering and enhancing a color, is partially to blame for this disjointed feeling. 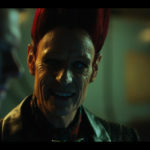 Anytime a scene focuses on one of the main characters, the color grading is changed to reflect that. If it is a scene about Luke Cage, everything has a yellow tinge to it. When Jessica Jones snoops around an apartment, expect cool blues. Is Matt Murdock dealing with his catholic guilt? Red is the color of choice. This even extends to the villain, the mysterious Alexandra, played with gusto by Sigourney Weaver. Her palette is filled with golds and natural lights, but also a heavy amount of white. It doesn’t help that whenever the series switches from one character to another, there is the sound of a train or car horn followed by two or three quick cuts of subways, traffic and skyscrapers. Because the series takes place in New York. Which has subways, traffic and skyscrapers. Get it?! GET IT?! I know Defenders is supposed to be the culmination of all the street level heroes in New York, but this editing sequence is played out by the end of the first episode. The writers and producers clearly want Defenders to stand on its own, but this is a series developed for web-based television; they aren’t aware of the power of the medium. We live in a culture of instant access, after all. Sure, not everyone will have watched five seasons of ramp up to Defenders, but when each series is two or three clicks away thanks to Netflix’s recommendation algorithms, each person has probably seen at least one episode of the other shows. You don’t need to hold your audience’s hand and repeatedly explain that this story takes place in NYC. It is apparent from the marketing, the camera work, and the fact that most of it was shot on location. Despite all of these problems, and a dour first episode and a half, Defenders really ramps up. By episode three, you are strapped in and ready to go. It really is the crown jewel of the series. It opens with a solid 13 minutes of Sigourney Weaver training a re-birthed Elektra before the opening credits roll. The coolest moment by far is when Elektra, covered in blood from her Black Sky rebirth, attacks Alexandra who is in a white pantsuit. Alexandra beats her without breaking a sweat, without getting a single splash of blood on her suit. The entire sequence is done in three or four slow cuts, so you can actually tell it is mostly Sigourney Weaver during the fight. Damn, she looks good doing it, even as she nears the age of 70. The third episode continues with a much needed conversation between Luke Cage and Danny Rand about white privilege, which honestly, should have happened in the first few episodes of Iron Fist. Mike Colter delivers the speech with such conviction and purpose that it doesn’t feel too-little-too-late. The reaction from Finn Jones brings the first bit of humanity to Danny Rand during this speech. maybe because it isn’t Danny Rand listening, but also Finn Jones. Hopefully this lesson continues to stay with him past Defenders and into Iron Fist‘s second season. Speaking of Iron Fist, he actually gets some pretty good fight scenes throughout Defenders. Finn Jones has clearly taken the time to develop his skills. While he won’t match zen master Keanu Reeves anytime soon, his fight scenes look way better than they did in Iron Fist. The fight scene at the end of the third episode, where all of the Defenders first come together, is great; it teases at the Heroes for Hire show I hope we eventually get. Once the third episode ends, the ride just gets better and better. The Defenders bond over chinese food, pick on Danny Rand, and figure out a plan to work together to stop the Hand. It is important to remember that this is ultimately a Daredevil story, where Danny Rand is the mystical McGuffin that is the key to the whole plot. The good news is that this essentially sidelines him throughout most of the series, but the bad news is that he gets the least development. Meanwhile, on the villain side of things, it is all about Alexandra and Elektra. Thankfully, Sigourney Weaver is the creepiest of mother figures. Her constant power struggles with Elektra read well for television. As Elektra sorts out her complicated past post-resurrection, you really start to feel the tension between them. Sadly, the story line is cut short as the climax of Defenders draws near, leaving very little closure for either character. Defenders‘ big selling point is how much the main characters have fun together. The sarcastic and brash Jessica Jones counters the dour and sad Daredevil. The chemistry between Iron Fist and Luke Cage is a great starting point for their budding relationship. The one dynamic that wasn’t really touched on, though, was how both Luke Cage and Daredevil strive to protect their parts of New York, be it Harlem or Hell’s Kitchen. This never comes up throughout the show, and feels like a missed opportunity for the pair. When Defenders rolls credits for the final episode, it leaves a lot of questions up in the air. While that might be compelling for some viewers, some of the characters’ endings feel forced and land flat. I am excited Defenders exists, but I will be surprised if the show gets a second season. I would much rather see the Defenders make an appearance in Avengers: Infinity War, and then go back to their own stories, with quick, one-episode cameos when they make sense throughout their sister shows. Try it, after you have watched at least some of the other shows. There is a lot to unpack with Defenders. It doesn’t benefit from the tight writing that Marvel had in The Avengers. Thankfully, the entire series is only eight episodes in length, so it doesn’t overstay its welcome. It doesn’t bumble through anything too boring after it ramps up towards the end of the second episode. The chemistry between the main cast is great, but ultimately there might be too much required viewing to get the full experience out of the show. 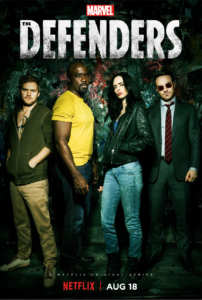 I went into Defenders with a deep-seated affection for Jessica Jones, Matt Murdock, Luke Cage, Foggy Nelson, Elektra Natchios, Claire Temple, Misty Knight, and Trish Walker. I went into it without having seen Iron Fist, and with no desire to watch it. And I came out of Defenders still loving all of those characters (plus Colleen Wing! ), but also with a deep sense of disappointment. I would have loved The Defenders more if it didn’t try so hard to make Iron Fist likeable, and if it didn’t knock down everyone else a few pegs to elevate him to Hero Status. The fights were decent, as was the music. I really enjoyed Luke calling Danny out for his ridiculous privilege. I loved Jessica’s no-nonsense attitude and how every single character was forced to grapple with the moral imperatives of others in order to move forward. However, I wish the ending had happened on that character’s individual show. I also wish Defenders gave us more Misty Knight. Like, ten times more. Overall, I didn’t hate Defenders. 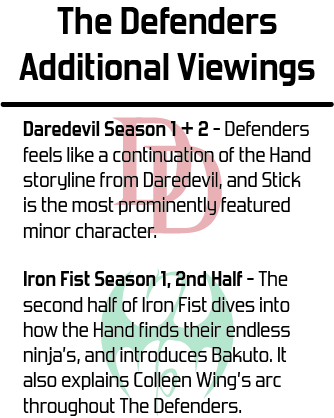 I just think more development time and a better, less Iron Fist-focused plot would have improved it significantly.